Vancouver’s Dr. Sun Yat-sen Garden has been named No. 1 on a list of city gardens around the world in a new book from National Geographic. 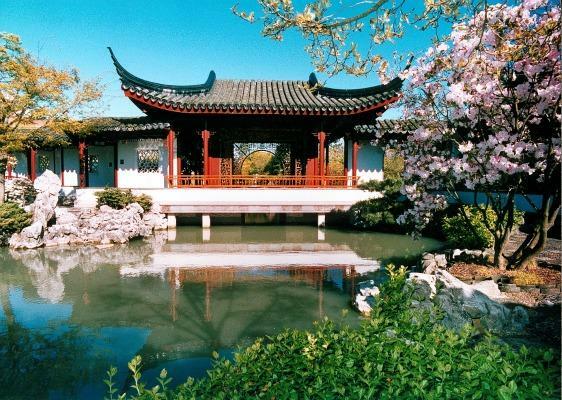 The classical Chinese garden was the first garden in the Ming Dynasty style created outside of China, and is located in Vancouver’s historic Chinatown, just blocks from the troubled heart of the city’s Downtown Eastside. But it was special enough to get a spot in the book Secret Journeys of a Lifetime: 500 of the World’s Best Hidden Travel Gems. In fact, the little garden is rated ahead of the Rodin Sculpture Garden in Paris and was one of just three North American gardens cited, along with the Foster Botanical Garden in Hawaii and the Conservatory Garden in New York’s Central Park. The garden, which is surrounded by white walls in the Ming Dynasty style, is only 0.13 of a hectare. The remainder of the property, which is about twice as big, is the Dr. Sun Yat-sen Park and has free admission.